Geoff fell in love with wine when he used to enjoy hot air ballooning in his early 20's - this was often in wine producing regions. He loves everything about winemaking, the vineyard, winemaking process, the people and food. It's his passion! Geoff worked his way through to the position of Senior Winemaker with a large producer enjoying the experience of working with Super Premium fruit through to irrigated warm climate vineyards. He has been a winemaker for 14 years now, fine tuning his craft before going out on his own with the perfect mix. 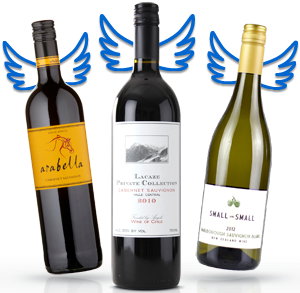 His wines are special because of the broad range of varieties and regions that he works across enabling him to offer the Angels wines from the great value South Australia region through to super premium single vineyard wines from premium growing regions. 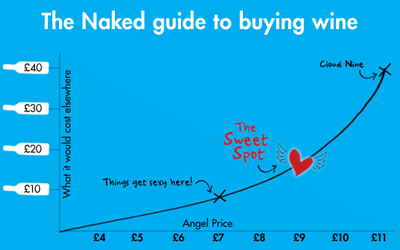 As a start up label, the support from the Naked Angels allows Geoff to commit to the production of a range of wines without the financial burden headache in a cashflow sense, so he can concentrate his efforts on crafting wines of great value for the Naked Wines world. Geoff has Gold medals and trophies for many wines under his belt but now it's time for Grounded Cru to shine. In early 2013 decided to press the button on the dream of producing a range of wines under his own label - and here he is! !